You have landed on the best page for Red Lobster menu prices. Red Lobster is a chain of restaurants that specializes in serving quality seafood and fresh fish! The restaurant serves a variety of different fish & seafood entrees, side dishes, and salads. Don’t forget to try the wood-fire grilled entrées throughout the menu. This method of cooking sears in the juices and brings out the natural flavors of the fish. Red Lobster also offers special seasonal menu items, like Lobsterfest, that are served throughout the year. Reservations are not required but are always welcome for special occasions or large groups. For the up and coming fish lovers (12 and under), Red Lobster offers a special menu for them as well. Red Lobster hours are generally from 11:00 am to 10:00 pm. Guests should check with their favorite location to confirm. 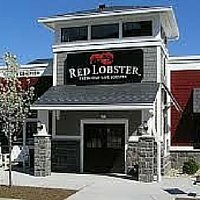 There are over 700 Red Lobster locations across the U.S. & Canada so finding one nearby should be easy. Red Lobster’s Fresh Catch Club is loyalty reward program for all who love seafood. It is free to join and you get updates, exclusive discounts, benefits of seafood, free food item on your birthday, and entry into sweepstakes. All you need is an email address and a few minutes to sign up online. We know that Restaurant Meal Prices is your go-to source to get the latest restaurant menu prices quickly. But if you want to learn more about Red Lobster, head over to their official website, and read all about it. Following is a summary of what you will find. Red Lobster coupons are not available on the official website. Everybody recognizes that eating healthy is beneficial and eating a diet that includes fish and seafood is a smart way to add good protein and Omega-3s. To get you started, the Red Lobster website includes a nutritional portal that provides guests with three different ways to access and review nutritional information of each dish. Red Lobster also offers a list of smart tips on how to eat healthy when dining out so you can enjoy your meal. You can also learn about the benefits of a diet that is rich in Omega-3. Love all the benefits of eating seafood but counting calories? Not to worry. Red Lobster has you covered with a special selection of dishes that have less than 600 calories each. For those guests with specific allergies, check out the allergen menu before you go. Red Lobster encourages guests to try making their favorite fish or seafood dish at home. A recipe page offers a variety of dishes to choose from plus a list of cooking tips helps make sure you can put it all together. Looking for the perfect present for any occasion? The Red Lobster Gift Card is the perfect gift. Now, you have two methods of giving the gift card. The eGift card can be purchased online anytime and delivered immediately to someone’s email along with your personal voice message. Or you can be traditional and send out plastic gift cards via postal mail. Do you like the Red Lobster concept and see yourself working for them. Go online and check out their Employment page for current openings that include hourly positions, management, or support center. Red Lobster offers friendly work environment, ongoing training, and career advancement along with a competitive pay. The first Red Lobster was established in 1968 by Bill Darden in Lakeland, Florida. In the early years, Red Lobster introduced guests to favorites like calamari, snow crab, and key lime pie. From the start, the restaurants were focused on providing quality food and exceptional customer service. As of 2014, Red Lobster is owned by Golden Gate Capital investment firm. Red Lobster continually evolves to meet the demands of its clients but always with a focus on fresh seafood and its health benefits. For more information about Red Lobster, visit their official website. Are Red Lobster Biscuits healthy and are they vegan and/or Gluten free? Red Lobster Biscuits or Cheddar Bay Biscuits as they are properly called are very popular and if you’ve ever eaten one it’s easy to see why. That said, if you’re watching your waistline, most nutritionists would consider them a bit fattening as each one contains about 160 calories and almost 15% of the recommended daily fat intake including 2.5 grams of trans fat. In addition, these biscuits could not be considered a vegan or gluten-free food source. Are Red Lobster and Olive Garden gift cards interchangeable? Unfortunately, gift cards from these two great restaurants are no longer interchangeable. This is because Red Lobster was sold in 2014 by Darden Restaurants to a private investment group. If you do have gift cards from one of these brands you are still able to use the card at the restaurant specified on the card. Are Red Lobster and Olive Garden owned by the same company? No, Red Lobster and Olive Garden are no longer owned by the same company. In 2014, Red Lobster was purchased by Golden Gate Capital. Darden Concepts Inc. owned both Red Lobster and Olive Garden until the sale of Red Lobster in 2014. What is Red Lobster Crab Fest? Crab Fest is Red Lobster’s way of celebrating crab. During this time, the menu features the widest range of items with crab including wild crab selections made 4 different ways. In addition, there are special dinners featuring crab legs, crab cakes, and a variety of other dishes all featuring crab. This year, Red Lobster is also promoting The Deadliest Catch. Crab Fest participants can enter to win a trip to Seattle, a tour of the boat Northwestern and an opportunity to meet one of the celebrity captains. If that weren’t enough, you can even visit the Red Lobster Crab Fest page to play the Crabber game! What does Red Lobster do for birthdays? We called our local Red Lobster restaurant and were told that Red Lobster loves hosting birthday’s and that each manager is at his or her discretion to provide a complimentary dessert to the birthday boy or girl. In addition, many Red Lobster restaurants have private meeting rooms which can accommodate large groups including birthday celebrations. You may also wish to register for email updates to receive special birthday promotions. They are good but not worth the prices they charge. The comment that you wrote does not make any sense. Dan is right. And so is Evelyn. I wonder if any of these people have shopped at a sea food market lately. I would say Red Lobster is doing pretty good holding the line on prices. Disagree, I can get snow crab at Kroger almost any month of the year for $6.99/lb. RL wants $21, three times as much. But they include biscuits that I can get at Walmart for $2 a box and add a package of salad mix from Walmart for $2.50 and .10 worth of dressing. So all together my home version of an RL meal would cost me about $12. I’ll keep eating at home. Factor in the rent and utilities you pay that day and paying yourself for the time you put in on the meal and see what cost you come up with. then why are you at this web page if you dont eat there? [Comment removed due to foul, disrespectful views and or language.] We don’t suffer fools here! And you actually juggled writing a stupid comment. Graduation to the idiot for the ability to multi task… Hooray! All you need is cereal to go with milk, neanderthal. I love Red Lobster, I’ve never had a problem with the food or the price… I am taking my family there next month…. Even Red Lobster comments are racist – what a bunch of classless parasites. I’ll even watching u suffer a slow painful death of lung cancer or whatever drug induced disease u die from. You’re sick in the head! Really? Wishing someone dieing slow painful cancerous death?! No matter what the issue is, a stupid resteraunt comment or whatever, u r seriously mentally challenged! Iv been fighting a horrible cancer for 4 yrs, 4 different times & its something u DONT wish on ANYONE! U, kind sir, should get a taste of what it’s like to fight this horrible sickness! I told myself I’d never say this but the crap that just flew from you.. I hope some day U havta fight this horrible sickness! Ud eat ur words! Forgive me for even thinkin that but ur a sick person!! Hi it’s inspiring that you have fought and won this battle four times. My kids father has mesothelioma and is fighting for his life. Good luck in your journey’s. You are a very disturbed person. … do you have any friends? I will pray for you, how sad that you would even think of something so depraved. May you have a change of heart in your judgement of others. I’m sorry you would think such a comment is ok. Would you wish that on your own family? Please rethink your attitude. May God bless you and teach you about love, forgiveness, and mercy. Catch it, Cook it; than post! Spoiled Rotten; you are! I’d like to apologize to Red Lobster for some of the mindless comments from mindless people on this thread. Red Lobster is a fine upstanding entity and worthy of praise for their excellent food and service. It is expensive, but you definitely get what you pay for. Red Lobster is simply the poor man’s attempt at fine cuisine. If the lobsters knew what a waste their death was, being shovelled into the mouths of low class peasants who don’t even know the difference between Rock and Maine lobster they would surely weep and consume their children to spare them such a fate. I love this restaurant.RL has been a family tradition for years. Red Lobster is my favourite sea food restaurant.The food is always prepared to perfection.Friendly service.A little pricey,but what good restaurant isn’t.Ill be selabrating my birthday there tomorrow and taking my young children for their first Red Lobster experience.Cant wait. *celebrate, is the correct word you meant. I fear for the education of your “young children” if you can botch such a simple word and don’t even get me started on your punctuation. I’m from CT where REAL seafood restaurants are not hard to find and have reasonable prices for high quality, FRESH seafood. A Red Lobster went up a couple years back and didn’t even make it a 6 months. In New England, people just laugh at Red Lobster. It’s considered taste-wise to be the equivalent of McDonald’s. Only idiot tourists ever went there. If I was forced to go, I would only eat the biscuits. They’re pretty tasty, but then, seriously, how hard is it to buy some Bisquick and cheese?! The prices aren’t all that bad considering they do all the cooking, give table service, soft drink refills and so on. Living in Florida I have a multitude of very good non chain restaurant to choose from, some right on the water, and for “bang for the buck” Red lobster doesn’t do all that badly. We go to one particular restaurant 60% of the time because of prices, ambience and food quality BUT Red Lobster isn’t far off the mark set by this independent outfit. In fact, RL’s biscuits and friendly wait staff edges them in front in those areas. Wanna eat cheap, go to McD’s. Want good (not great) seafood for a reasonable but slightly higher price, go to RL. Go to Red Lobster once a year. on our anniversary. Try to get there in time to get the lunch menu. Husband gets live maine once a year. February 13. Love the food, service, and treat. As far as cost, sure but most restaurants have to run a food cost % that gives them room for labor and other overhead costs still leave a profit. I vote for RL Looking forward to our anniversary in a couple of days!!!!! For your birthday rewards , they only give a coupon for 2 adult dinner , $5 off price . Extremely expensive , do not consider single adults . Red Lobster should be renamed Red Shrimp as most of their lobster combinations contain shrimp. Some people can eat lobster and crab, but can’t tolerate shrimp. Their menu choices are limited with Red Monster’s current menu. Do you have special prices for birthday dinners? Does Red Lobster serve a king crab leg dinner? I looked at menu and seen a snow crab dinner but no mention of king crab leg dinner. Red lobster does have king crab legs but they are not listed on the menu but you can ask for them. I was told they do not get them delivered that often but when they do they sell out quick. They are in the price range of $30.00. They come served already split so no fighting to get the sweet juicy meat! They are served with a salad, corn on the cob and roasted red potatoes. Red Lobster is my favorite restaurant. Love the seafood, biscuits, etc. I always look forward to my next visit. I enjoy RL from time to time, however it is quite expensive. I am writing my college paper on RL hope I get a good grade! Has red lobster continued serving lobster rolls. I know they served them in March on lunch menu but I do not see on menu. People please don’t try and give RL a bad name because of their prices. You get what you pay for. Either you pay the prices or you don’t . My problem is paying 20plus dollars for fast food now that is a problem. Just like good liquor you either order from the top shelve for the best our drink what you get from the lower bottom if you get my drift. Red lobster is my favorite place for see food. Never had a bad meal or service. We like to sit at the bar and enjoy the conversations with everyone else sitting there. This site is not here to post radical comments or let people know you are a spelling teacher want a be. Some people need to grow up and be more respectful to others. Your not teaching your children anything, but how to be disrespectful like their parents. Respect, kindness starts at home and how you treat others in front of your child. Yes I got off the subject for a min. But I’m sick of this, I don’t even know what to call it but, idiot people posting on a review site. much and you get a lot of value (salad, veggie, biscuits etc.) for your money. There are a lot more expensive restaurants than this, trust me. Wow so cheap. You americans are lucky. Only 29€ for the Rock Lobster Tail. Will definetly spend about 100 bucks when I come to visit the states. Cheers from Swiss border. I have onion allegories What on the Menu can I eat that doesn’t include onions,onion powder, or onion oil ? I was in your restaurant in late April 2018 and had Fish and Chips on the menu. I was there again recently hoping to have fish and chips again and it wasn’t listed. What happened to this dish? I’m not usually much of a fish eater but LOVED the Fish and Chips. It was PHENOMINAL. PLEASE BRING FISH AND CHIPS BACK TO THE MENU.